Clockwork PLR – We Work Around The Clock So You Can Profit More! WARNING! The Discounted Price Is Going Away Soon... Don't Miss Out On This Evergreen PLR! 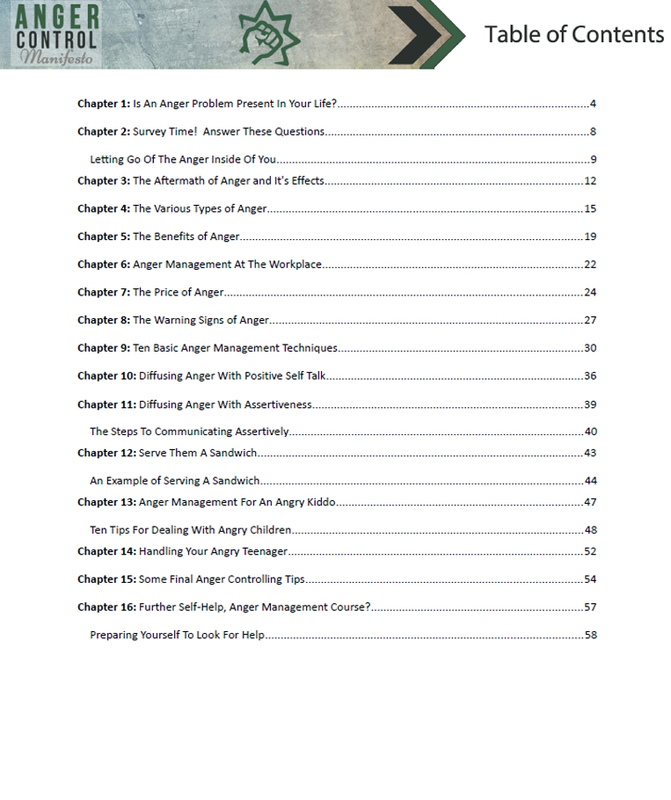 Slap Your Name On This Done For You ﻿Anger Management PLR﻿ ﻿﻿﻿﻿﻿﻿﻿﻿﻿﻿And Watch Your Profits Soar! Limited Copies Available! Grab the FULL Private Label Rights Now! What's So Great About This PLR Product? Fully designed sales funnel ready to resell. Easy to setup and profit for years to come on autopilot. Ability to resell and keep 100% of every sale made. Massive evergreen highly in-demand niche. All of the hard work done for you already. 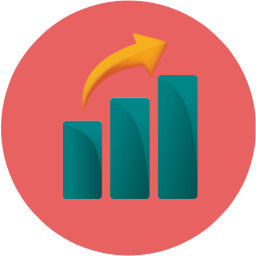 Are You Looking For A Consistent Method To Make Money Online On Complete Autopilot? If you've been looking to make money online, then you may have already noticed that the best way to rake in sales fast and consistently is with your own products. When you have your own product to sell, you get to keep EVERY CENT of each sale that you make, and on top of that you're building a business and an audience as well. The bigger issue is that many marketers truly struggle when it comes to get started with creating their own products. The reality of it is... product creation is the LEADING cause of most people failing when it comes to profiting online. In reality, it's not only time consuming to develop a product and marketing materials, but it also devours a significant chunk of your time to research and determine which products and topics are in high demand and which ideas will just be a large waste of time. Furthermore, you're going to be emptying out your wallet just having the entire thing developed. Luckily for you, all of this headache, stress, hard work, and risk can be completely eliminated from the picture entirely, if you just let the entire product creation process for you (and then some). With the rise of PLR products nowadays, and the surge of new marketers - I (Darren) wanted to make it a point to bring FRESH & NEW business in a box packages to the scene. With top quality and up-to-date content. This particular product focuses on a niche that's always in super high demand, as it's in the self-development niche. We all know that managing our anger and frustrations is essential and releasing them at the right times and places is crucial for successful (and happy) living. Yet a lot of people still don't know where to turn, how to diffuse it, or what it is that's angering them. Sad but true. Heck, even I've been in that position before, and still am at times in my life. 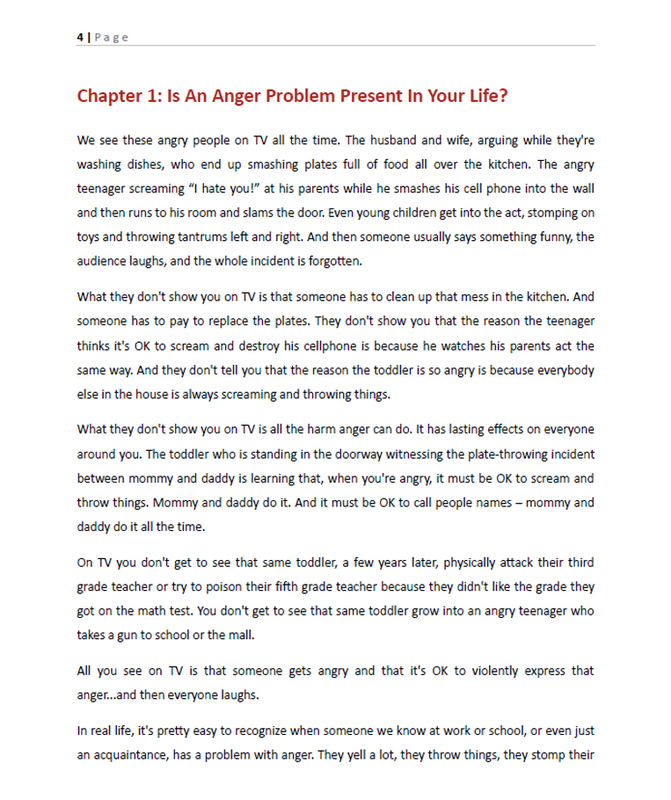 That's why I took the time to network with knowledgeable resources and professionals to assemble a unique but super helpful anger management PLR course that contains real-world insight and examples from professionals. 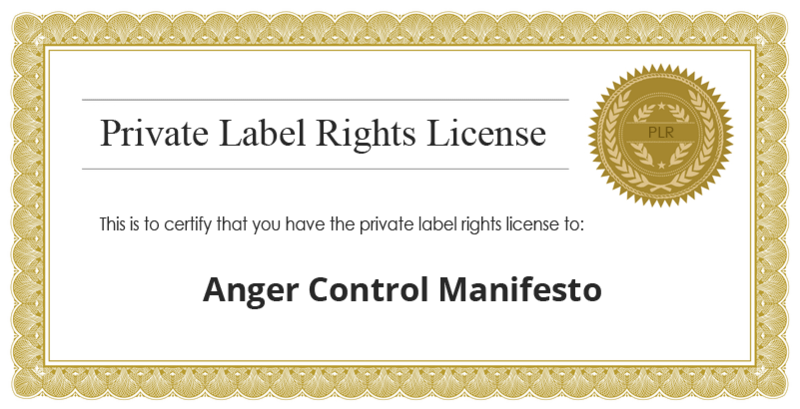 I'm beyond proud to present to you, what could be your very own "Anger Management" product, with the full private label rights attached and an entire sales funnel to go with it. 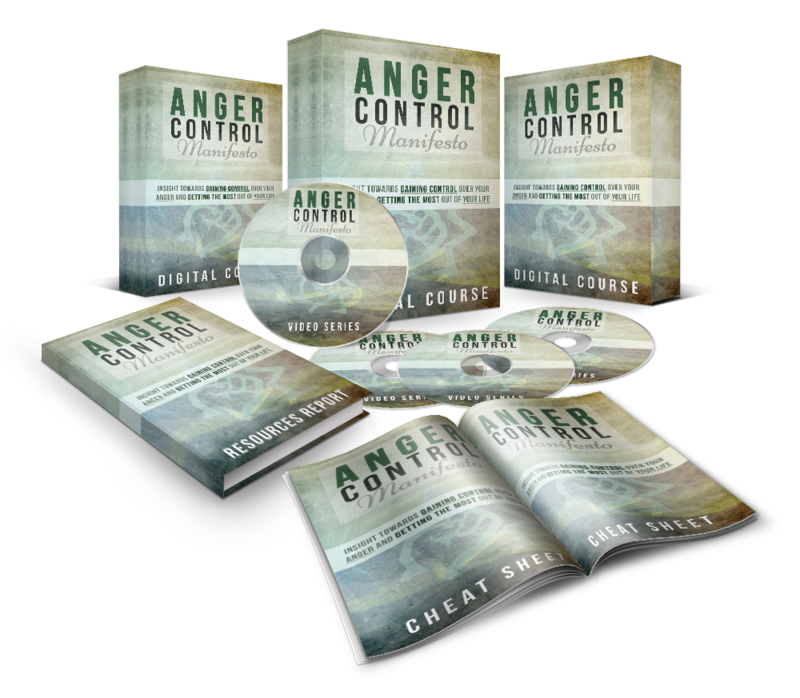 This course covers every aspect of anger control and understanding the science behind it, right down to the nitty gritty. But to go into this topic a bit further, I wanted to share some information with you about the niche / market itself. As I'm sure you've realized by now, the self-help / self-development niche is absolutely gigantic. It's hard to even call it a niche considering how big it is. The reality is that every day there's people out there struggling with various different anger management and rage control issues. It's truly everywhere. Not surprisingly, anger management is a big factor in how well you or ANYBODY else performs in life. Having a lack of control is often the result of lost relationships, opportunities, destruction of property, and largely the ruining of a life. The hard part is trying to address and conquer anger issues. Most people just assume it's something that they'll "grow out of" over time when things eventually change. However, there's an entire science behind anger, frustration, and rage and there's more than enough methods for controlling it and diffusing it that do or don't work for people. With that said, the concept of "anger explosions" is something that can be easily managed and in turn, present the person with a much better life as a result. It all comes down to having the right "formula" to encouraging and embracing the shift in a person's mindset and perspective. One of the things you'll notice about the "self-development" niche is that there's not really any one central beacon of authority in any sub-niche. It's ran by self-proclaimed "guru" entities and people. It's that easy! That's where it comes down to this product in particular. 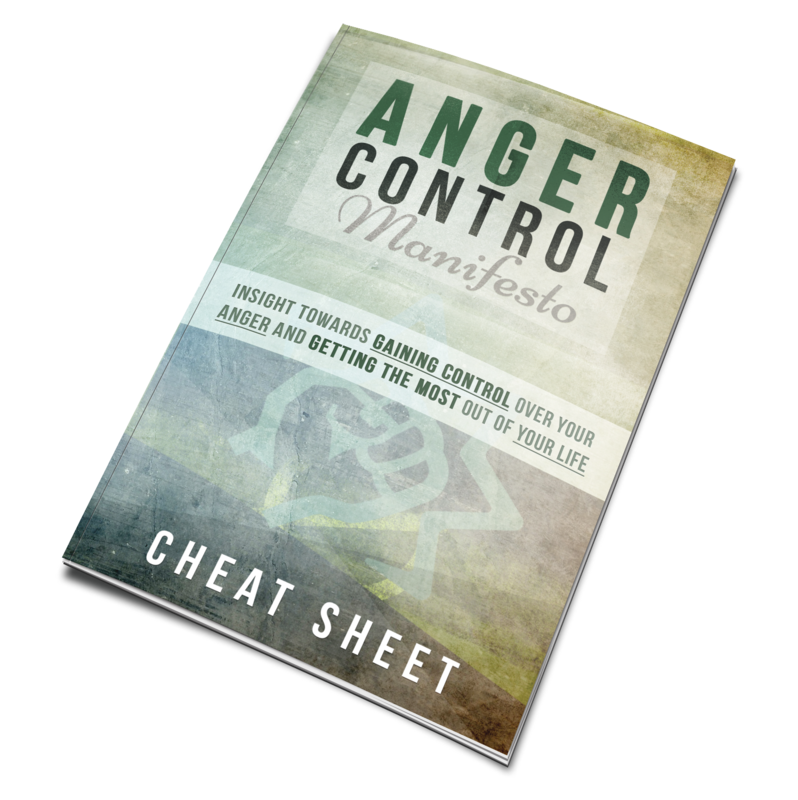 Anger Control Manifesto. Which is based on real world knowledge, written by a professional psychologist and therapist, and focused on a full system and approach that has been PROVEN to help hundreds of thousands of people. All compiled into one. What you need is a professional product, all of the resources, a bit of research and a website. You can easily position yourself as a guru in any sub-niche of the self-improvement market, and start profiting big time. From the very beginning starting with the science behind frustration, all the way through addressing it, changing habits and perspective, strategies to practice, and everything else in between. It's all included and it's all completely geared for ANY person to benefit from it. 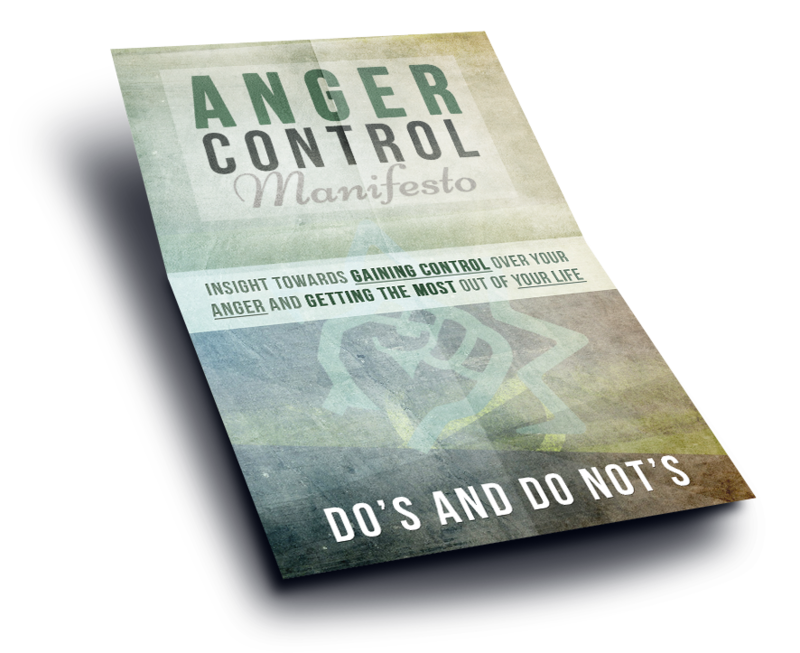 Most people overlook a lot of the strategies that DO work and are outlined in this entire anger control course. That means they're going to not only understand these methods now, but also how they're going to be effective in improving their life by addressing their mind all in one. There's a lot of resources and tools that are shared within the pages of this training course. That's because the focus is on the end user (the customer) to make sure that they get the most knowledge and benefit from the product. You can be certain everything is tried, tested, and true to form. Self-Improvement Books made over $728 million dollars in 2015 alone. 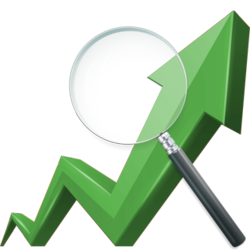 It's speculated that self-improvement books & training revenue will double by 2022. As the economy changes and the recessions occur, there's an increased demand. People are willing up to $300 per (90 minute) session to solve their anger issues. Almost a third of people polled (32%) say they know someone who has anger control issues. More than one in ten (12%) say that they have trouble controlling their own anger. 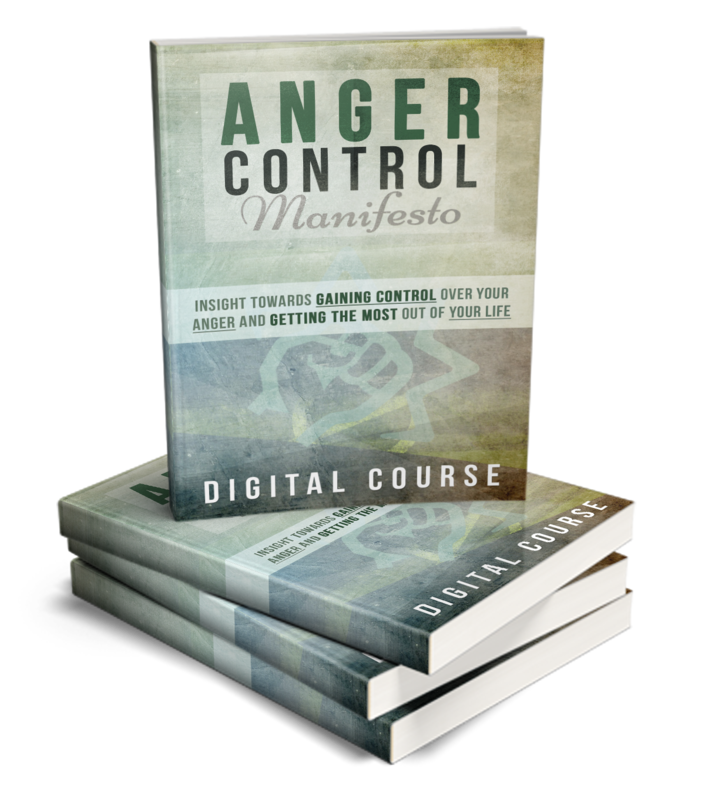 This fully stocked and very detailed training guide / e-book delves deep into the aspects of managing and controlling anger and frustrations. Through real world scenarios, examples, and solutions - your customers will be detailed a hands-on fully proven method and approach to eliminating anger and rage issues and improving their quality of life. What's Inside This Training Guide? We call this a hybrid cheat sheet because it doesn't just share simple steps for completing tasks. It outlines fully detailed methods for each step, and even provides examples and references where necessary. 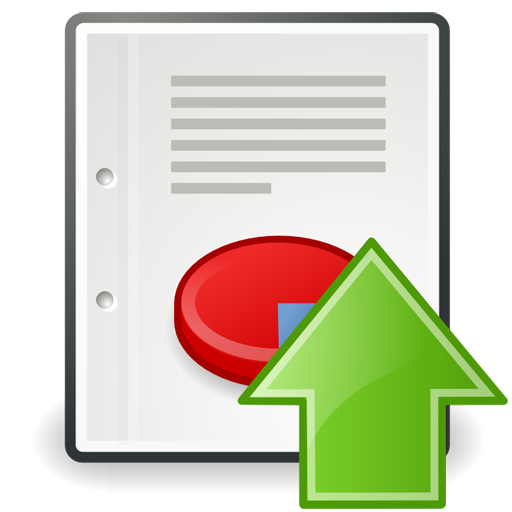 All of the topics covered in the training course are outlined in the hybrid cheat sheet and you also receive the document file so you can edit it. We knew that the Do's And Do Not's Chart would be a popular addition to this package simply in that the topic being discussed covers a lot of do's and don'ts along the way. With this, you can provide this reference to the customers that purchase the main guide too. 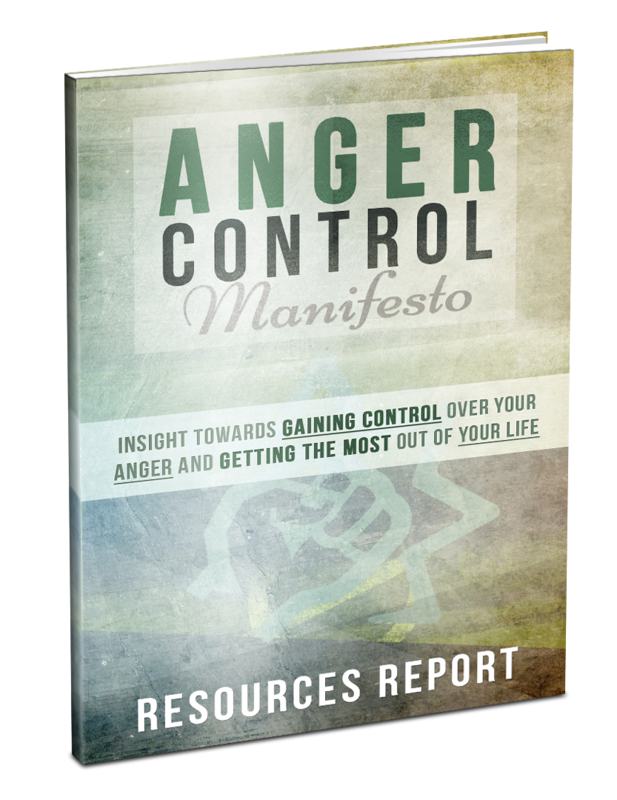 The resources report is where you we outline the massive amount of different resources and tools that people can use to help improve their control over their emotions, especially anger and rage. Because of the way this is set up, you can also include your affiliate links where necessary and even add other details as well. The main training package wouldn't be complete without the addition of a very comprehensive and useful mind map. 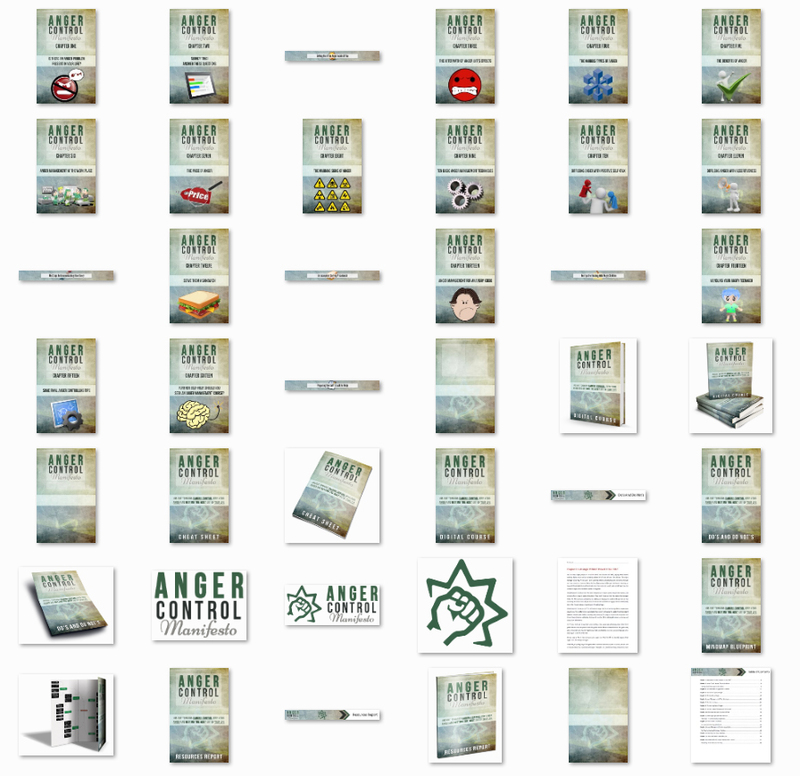 The mind map covers each of the topics found within the Anger Control Manifesto training course, in a neat and easy to follow manner. Source included. Our top tier web designer worked with our copywriter to ensure that this sales page not only looks amazing - but also bangs conversions out like crazy. 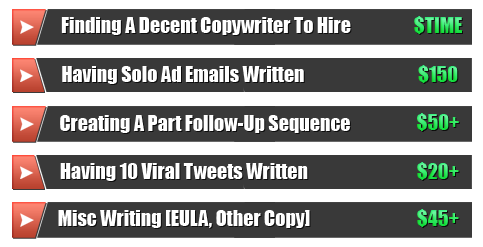 With over 2,000 fresh words of completely unique copy, you don't even have to worry about hiring a copywriter. We've done all the hard work for you. Simply add your buy button and name, upload to your site, and send traffic! 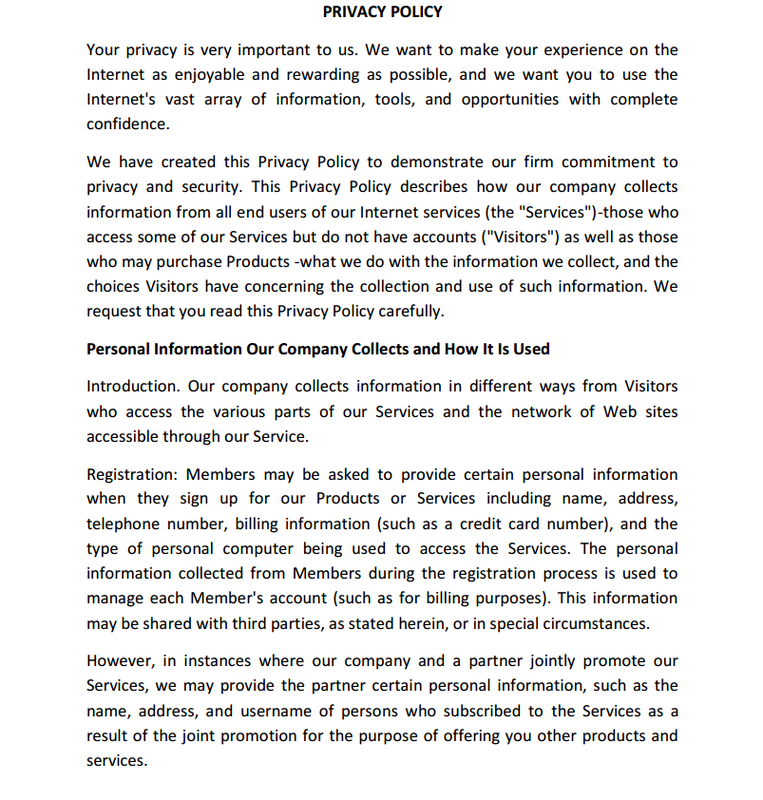 You will receive text and document files that contain the sales copy in it's entirety. 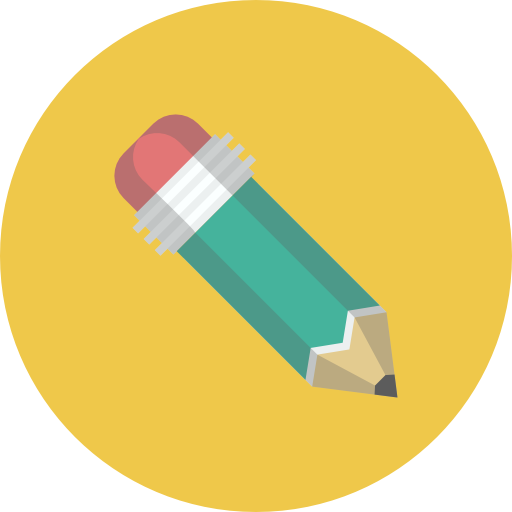 Use this to create other content, presell the sales page, hire a writer to re-write the copy or anything else you choose. To help you make promoting this offer an absolute breeze, we're handing you a fully done for you sales video for boosting your conversion. 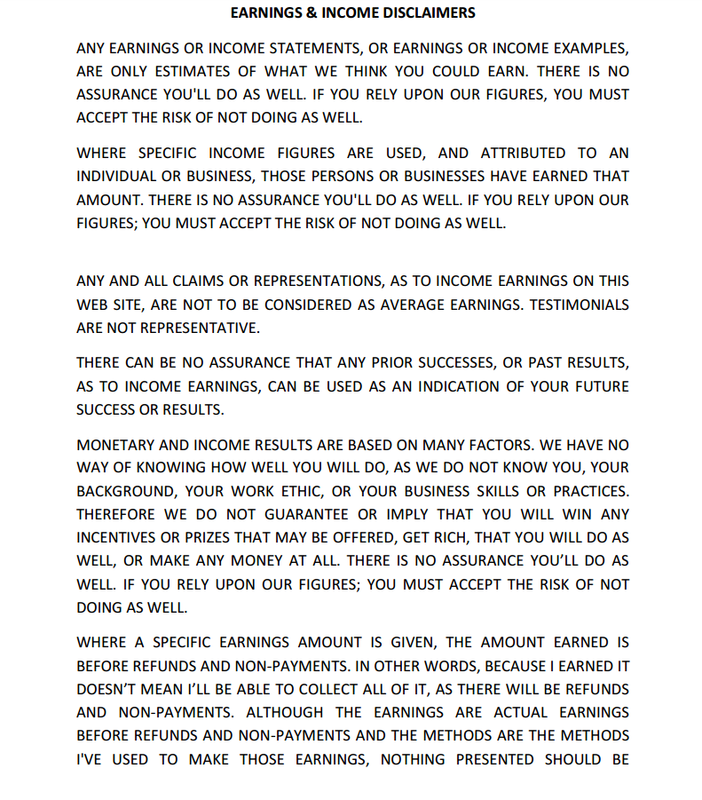 This is in the ever popular and high converting video sales letter / explainer style of sales video. 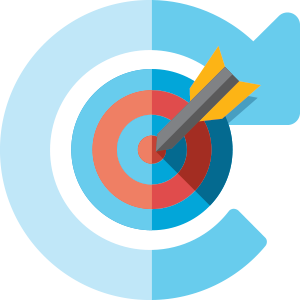 People love them, and when you add these into your fully done professional sales page, you'll be overwhelmed with sales. ﻿This sales video has been perfected to focus directly on presenting the offer and introducing urgency to the package. Additionally, we've also had one of our best voice over artists narrate the script (which we'll be providing you as well). Most PLR providers just drop you with a regular thank you page that instantly grants your buyers access to their purchase, while missing out on a crucial factor. We've implemented a 2-step download process into our system. First you direct your buyers to a page (we provide) where they "register" their purchase (and get onto your list) and then after that, they're directed to the REAL download page. Not only is this is a necessity for selling online, but you want to also present your business and this product as 100% professional. 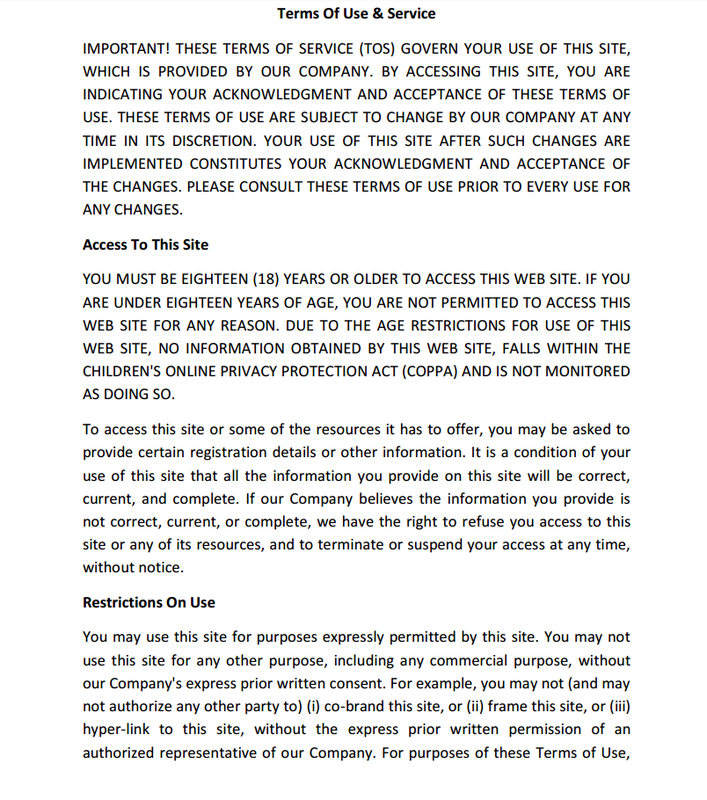 You're receiving a set of legal pages / documents that you can plug in to your site and link in the footer section of your sales page. 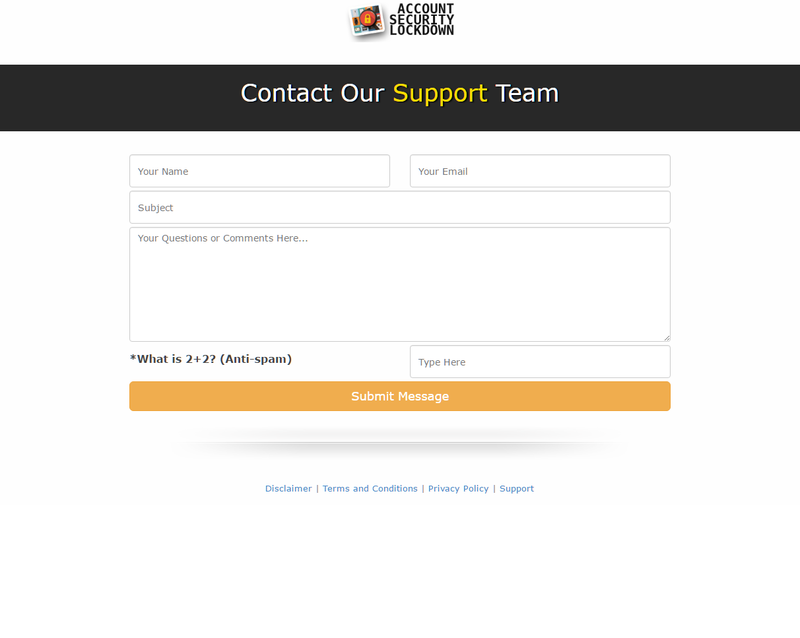 Additionally, you receive a completely integrated "support system" / "contact us" page so that your customers and even potential buyers can get in touch with you. Outsourcing the graphic design work can end up costing you an arm and a leg. 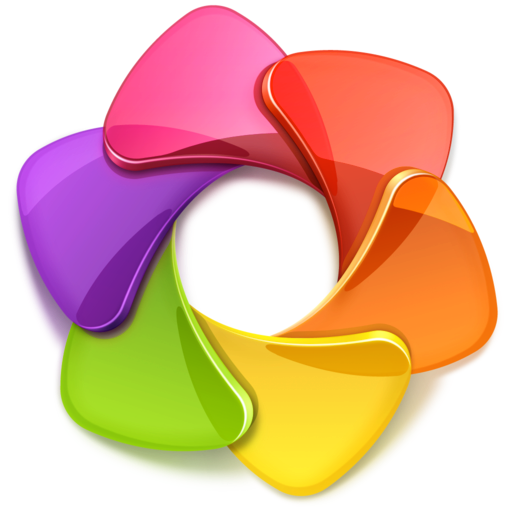 That's why we've taken the liberty of providing you with not only an entire graphics package, but also the PSD source files as well. Header, logo and favico design so you can integrate them however you'd like. Blank cover graphic so that you can add a new title and details easily without Photoshop. Don't sweat coming up with email content and swipes to promote this package to your list or anywhere else. 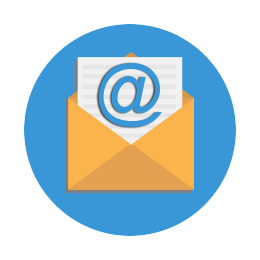 We've taken the time and effort to have 5 professionally written email swipes whipped up that are geared and focused on getting clicks and making conversions. All you have to do is choose the swipe in the series, pick your subject line, and then paste the body of the email into your autoresponder. It's that simple! And of course, we present you with the licensing images and documentation for each tier of the licensing for this package. This includes the private label rights, master resell rights, and basic resell rights licenses for all of these modules. Forget about hiring somebody to set this funnel up for you! You can truly do it all yourself, and that's why we've provided a comprehensive step-by-step setup guide for the entire package. You'll be able to get your new product up and banking sales in no time (and without any headache). That's our promise to you! 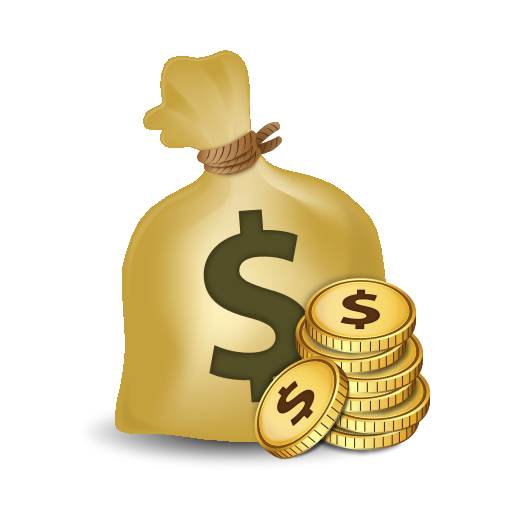 How Can You Make Money With This PLR Package? Use the content to build out a membership site and charge a monthly fee to gain access. Provide as training for seminars or webinars. Break it apart and create smaller reports out of it. Re-distribute the contents of the course in any way. Split the content up and create videos or articles. 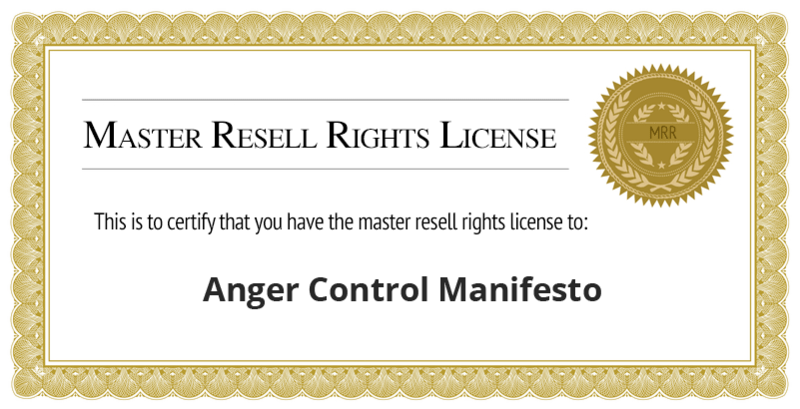 Build a highly targeted list by offering Anger Control Manifesto (or one of it's portions) as a magnet. Utilize the training course for your own benefit / use. Modify the contents, change the graphics, re-title the product and all of it's modules, and include your very own affiliate links and cross sells inside. 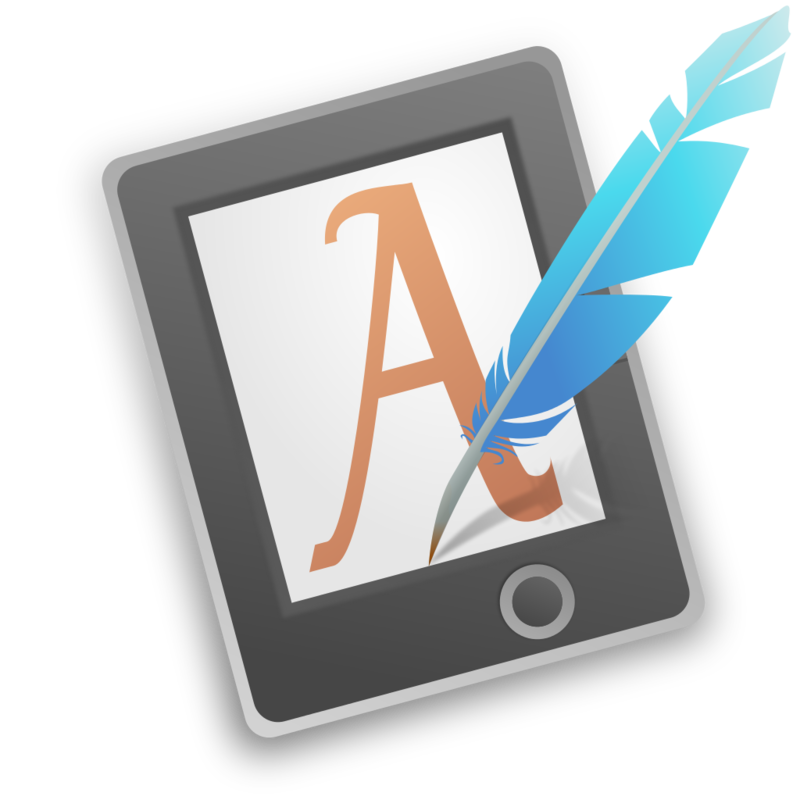 Re-purpose the content into other formats for distribution, such as e-books, articles, viral lead magnets and more. What is the Cost of Creating A Product Yourself? Not only do you have to research topics and write an entire course on a subject or topic, but you also need to go about creating a mind map, resources list, cheat sheet, and everything else to accompany it. 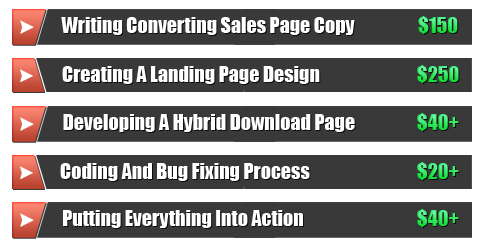 As if writing high converting headlines and sales copy isn't enough, you also have to design the entire landing page and download page as well - plus add your buy button and anything else. Hiring a graphic designer isn't cheap by any stretch. 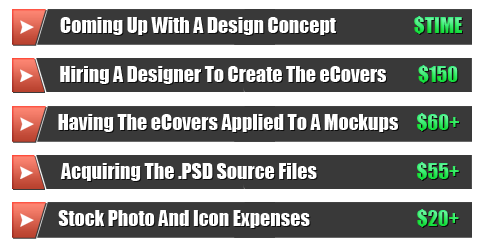 You have to find a designer that will not only create a high quality eCover that's consistent with the style you're searching for, but also have them provide PSD files. Tying together the exhausting process of product creation and the developing the funnel, you have to write a ton of copy such as ad copy, or you have to outsource it to a pricey professional to take care of it all. All Sales Are Final. Due To This Being A PLR Package There Are No Refunds. While this may seem like it's easy enough, it can actually be rather time-consuming, costly, daunting, and even exhausting all at the same time. Let's say you decide to outsource the project like many marketers and entrepreneurs do. 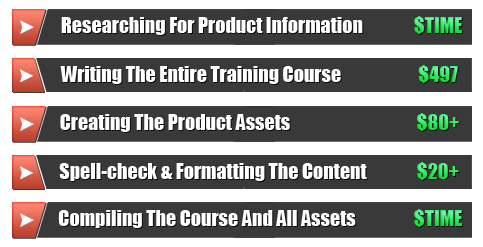 You'll end up paying hundreds of dollars just on product creation for the training course. 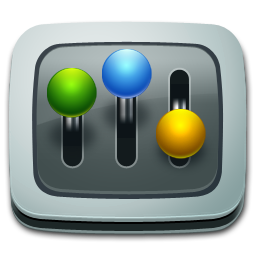 Then tack on hundreds more for all of assets like a cheat sheet, resources list, mind map, and everything else. At the end of the day, the cost of creating a top quality high converting and information training course or e-book product along with all of the assets, the sales copy and page, and everything in between, can easily cost you upwards of $2,000 or MORE. There's no hassle or hard work, no spending weeks or months of your valuable time slaving to create a product or pushing your freelancer to finally just finish up the job. You'll be able to effortlessly add your own details, content, or anything else to this package, set up the funnel, send traffic, and start making 100% profits within a few simple steps. You pay a one time fee, receive this MASSIVE PLR package containing an entirely done for you product in a highly profitable niche and it's all ready for you to slap your name on it and take off. Before you know it, you'll be watching sales flow into your PayPal account like clockwork and you can sit back and relax knowing you didn't have to lift a finger to create this awesome revenue stream. Nobody wants to jump through hoops to set up their very own product. That's why we simplified everything inside of this PLR business in a box for you. The entire process is streamlined and dead simple if you take advantage of the step-by-step setup guide that we're including with the package. 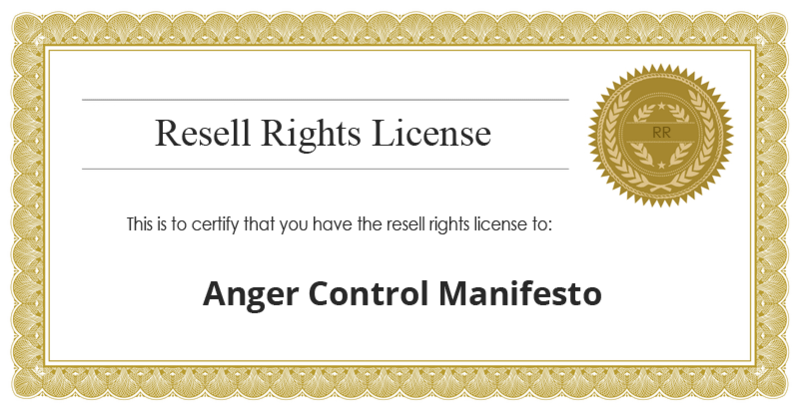 You're receiving all of the modules listed upon this page, along with the private label rights license (non-transferable) allowing you to re-brand and re-distribute the "Anger Control Manifesto" course as your very own. You become the author, you become the authority on the topic, you don't have to do any of the hard work. It's all ready to go as soon as you purchase. This report and it's contents were researched, analyzed, and written based upon expert input and strategies. You receive a grammatically perfect product. The population isn't getting any smaller and neither are the number of people looking for self-help products and courses. That's why this is evergreen. You don't have to even take the time to research and create tons of content at all. Just slap your name on this product and start reselling for 100% profit. 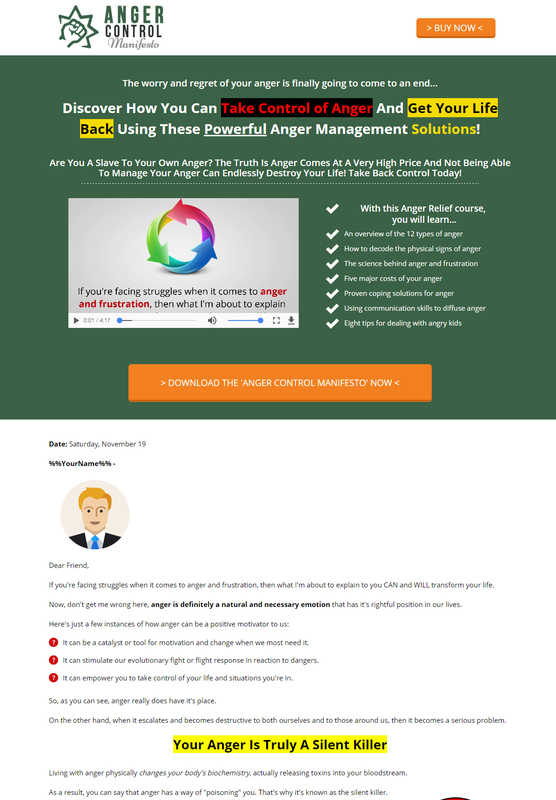 Tons of people (and companies) are always searching for ways to control and manage their anger and rage. This topic will always be relevant. Not only do you receive a training guide, but you receive all sorts of materials to help increase the value and promote the product to the masses without any real effort. With your very own product at your finger tips, and all of the materials you need to promote it - you're sure to make a killing and be able to keep every penny earned. All of the hard work has been completely done for you. The research, the creation, the sales letter, the graphics package, and everything else. All ready to go. You receive the document file for the training course and all assets so that you can easily edit the contents, add your name, and do anything else you please. You don't have to write a line of content for this. All you have to do is slap your name on the product and the funnel and the entire product is yours to profit from. 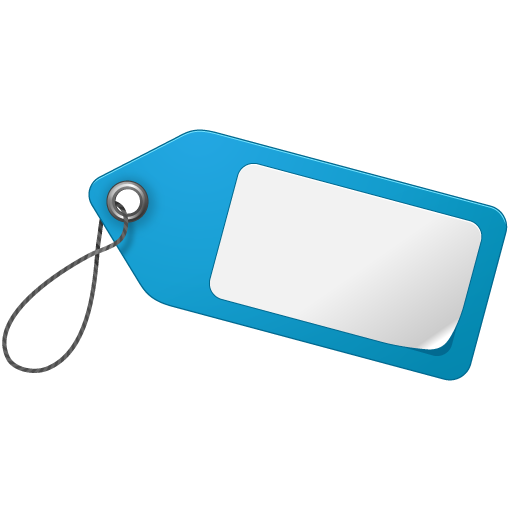 Our very loosely developed private label rights license terms allow you the freedom to profit from this package in so many ways that it will make your head spin. Forget about the low quality re-hashed PLR drivel you've been promoted. 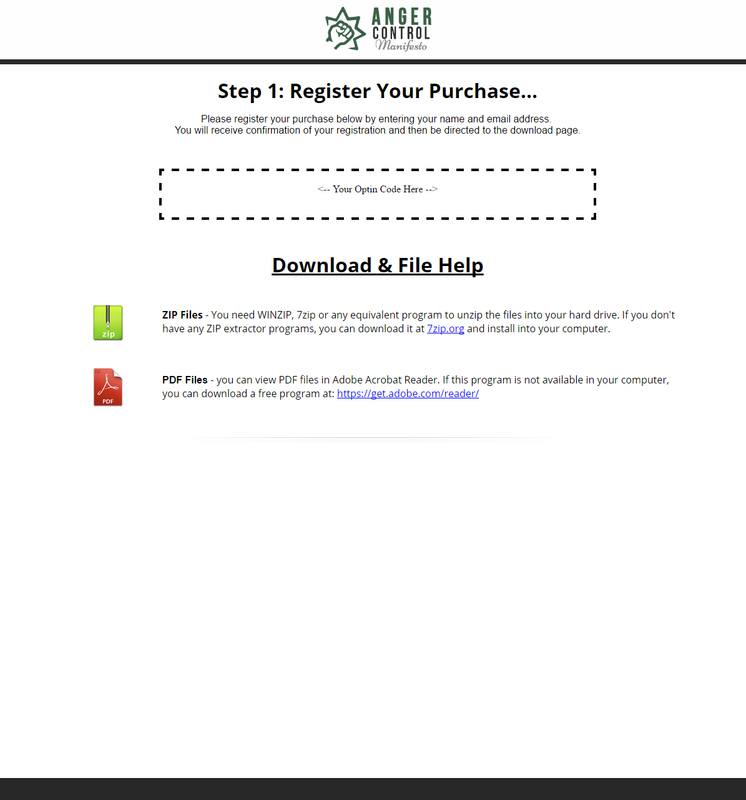 This is top echelon high quality PLR with the customer in mind and your name on it. No need to hire anybody to set up the product for you. 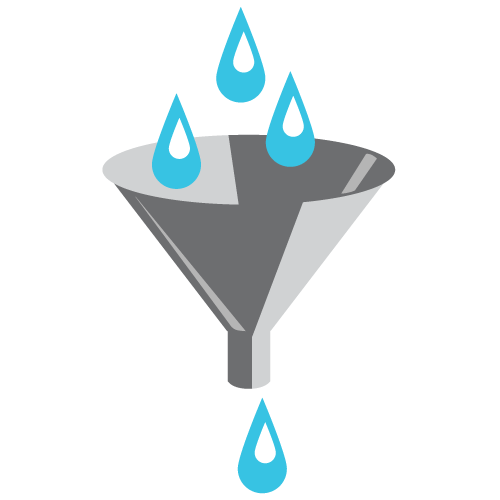 These step-by-step setup instructions will guide you through the entire process of setting up the funnel. You may be wondering WHY on Earth we wouldn't offer a refund policy? The reason is actually quite simple. For normal products, you can give them a try, go through them, and see if it's for you. 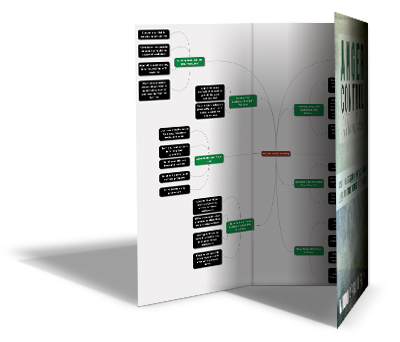 When it comes to a PLR product, you know EXACTLY what you're getting based on the sales page. 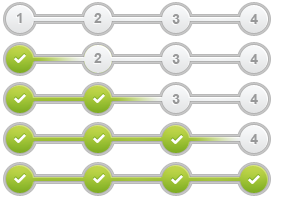 You know all the modules you're receiving, as well as the content found within the product. The quality of the product is clearly outlined on the sales page. Meaning, if you make the purchase, you already knew this was something you could use. The price is starting at just $7 and will increase to $9.95 shortly. After a few days, the price is set to permanently increase to $17 total, and it's NEVER going to drop down again. So it's important that you take action NOW. EARLY BIRD OFFER IS OVER! This is entirely ready-to-go product that you can re-title, re-purpose, and distribute however you want, to boost your profits permanently. Take advantage of this special offer right now. Don't risk waiting any longer. The special offer, access to this PLR package, and the low-pricing could be gone at any moment. P.S. ﻿﻿﻿﻿﻿﻿﻿﻿﻿﻿﻿﻿﻿The price of this offer is going to rise to $17 as soon as the launch is over. Meaning if you don't get in now, you're g﻿﻿oing to miss out on paying peanuts for a MASSIVE product. If you want to have an evergreen product in one of the most thriving niches and markets of today, that's constantly growing, then now is the time to take action. Can I really sell this product for 100% profits without paying anything more? Yes! 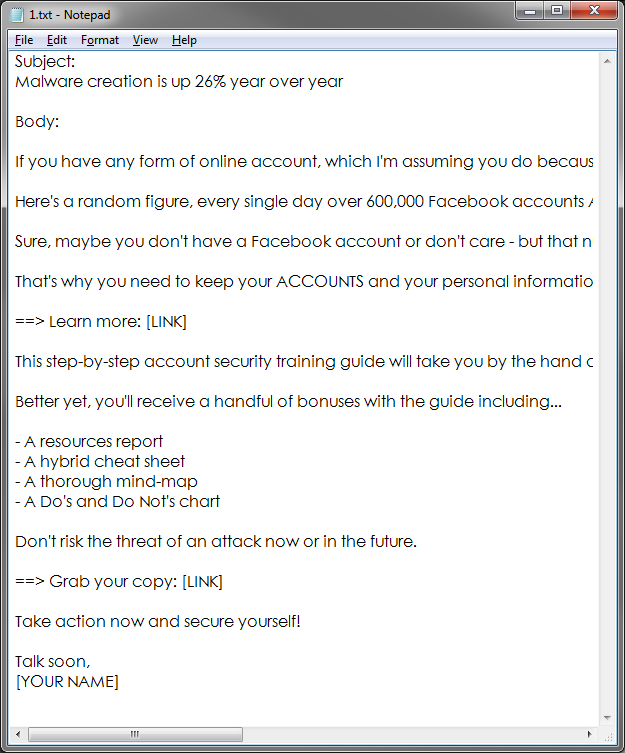 This entire training course is geared towards helping you to sell this security training product for 100% profits without ever having to put in any of the hard effort and work. Absolutely. You're going to receive a private label license PDF file that outlines exactly what your usage rights are with this entire package as well as the rights that you can pass on to your customers as well. How many sales is this product going to generate for me? 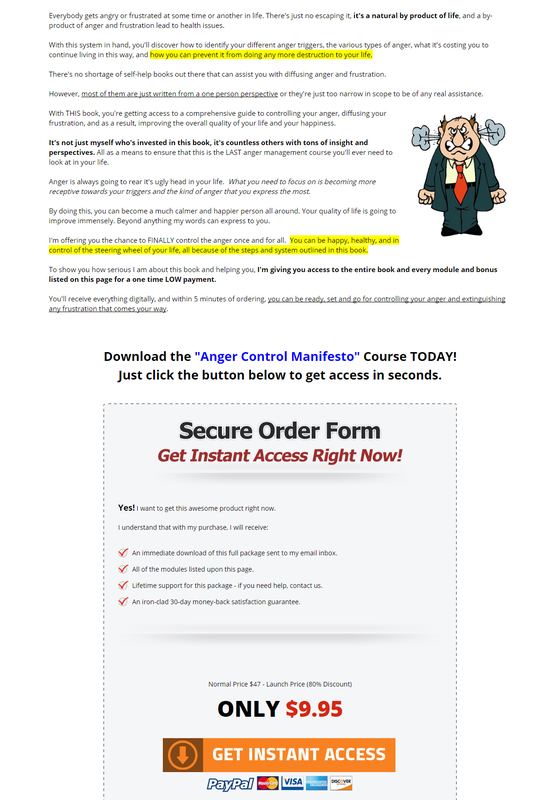 Unfortunately, we cannot guarantee that you will make any sales or money from this PLR product. However, we CAN guarantee that if you put in the effort, utilize the materials included in this package, and take action - you WILL see results in same way, shape, or form. Is there a money-back guarantee included with this package? Because this is a PLR product, and you know exactly what you're getting based on this sales page - there is no way we can offer a refund policy for this package. All sales are FINAL. While the PLR license you're receiving with this package is completely non-transferable, you are still permitted to sell the basic resell rights as well as the master resell rights to customers. You cannot sell the PLR and the rights to EDIT the product or funnel though. I don't know how to get started. 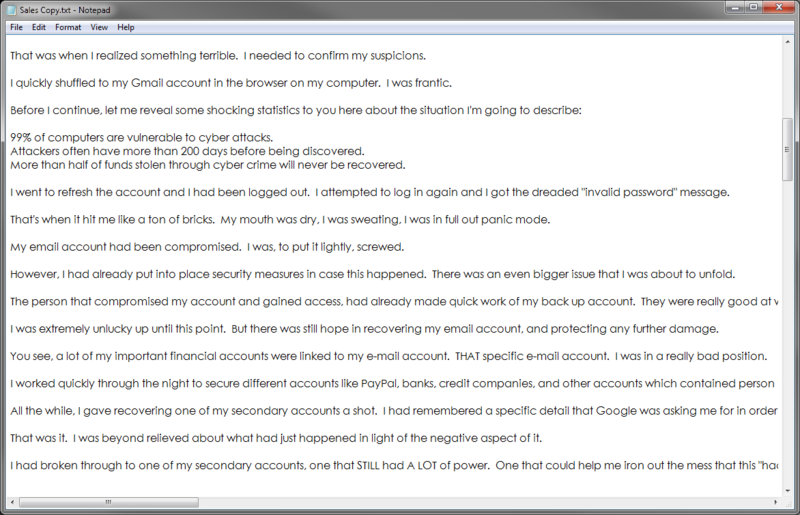 Can you help me out with this PLR product? No need to worry about this at all. You don't even have to hire someone to set up the product for you. You'll receive a comprehensive step-by-step instruction guide that will show you exactly how to get started with this package fast. Was this product and the funnel written by a native English-speaking writer? Yes! This entire training course was written by Darren Ross himself along with several psychologists and therapists then it was edited and perfected grammatically by a writer that has a B.A. in English. We are extremely strict with the quality of our product so that they're top notch. I'm ready! 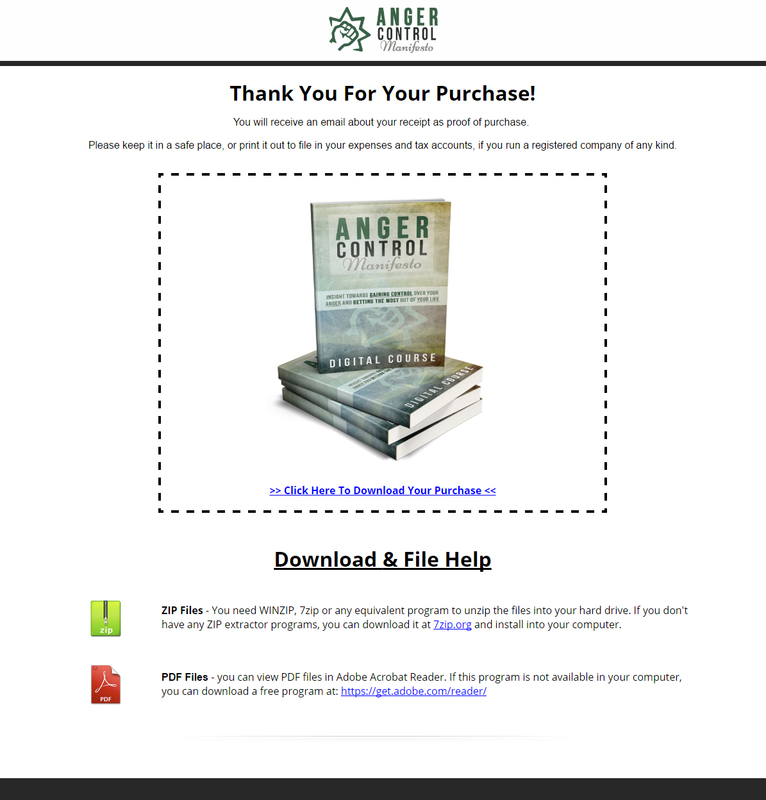 Please tell me how I gain access to this PLR package? Easy! Just use the buy button below.